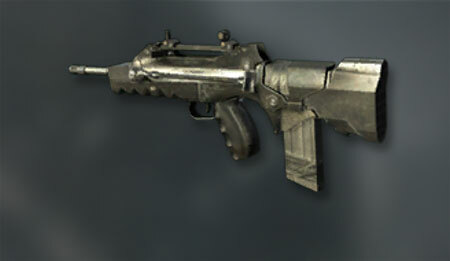 The Famas, a gun of legend in Black Ops. It has been said that with this gun anyone can dominate the grounds of Black Ops on any platform the only thing required to use this gun is Rank 14 and voila you are on your road to prestige with nothing but a Famas. After countless complaints by the community Treyarch is making a note of this in the next update and “nerfing” the Famas for those of you who don’t know what a Nerf is its basically downgrading the power of an item. Below are the patch notes, this will be update 1.10 and is already live on XBOX Live. You can expect the update to hit PSN / PC in a day or two max. but until than you can all enjoy the final moments you can with the most powerful gun in the entire game. Saying this was an over powered gun wouldn’t even begin to describe how powerful this gun really is! Even people who are lagging with 1-2 bars in a game can easily score kills with this gun and THAT is a lot of delay. It’s good to see that Treyarch is finally doing something they should have done a long time ago. • C4 can no longer be warped to player carrying bomb in S&D and Sabotage. • Removed erroneous “Reset to Default” message when trying to load a DLC map you do not have. • In-game icons (care package icons, etc) no longer appear in the Create A Class menu. • Support for Annihilation map pack, available June 28th on Xbox LIVE! • Fix for a rare crash related to weapons. • Game no longer crashes when Xbox LIVE servers are down. • Ninja Pro Perk no longer makes sounds when mantling or diving to prone.